When I was in kindergarten, my mom’s friend told her that if I didn’t learn to speak up, I’d never make it in this world. When I was seven I became a swimmer, and spent the next ten years with my head under water. When I was in junior high, I almost passed out going on stage to receive an award. When I was in high school, I became a bit more socially aware. I was a class officer every year. I performed in all our school dance shows. I loved being a part of all kinds of activities. But when it came time to give a speech in front of our entire graduating class at the baccalaureate ceremony, I couldn’t eat for days. When I was in college, I attended lectures with hundreds of other aspiring communicators. I lived in a sorority house with fifty of the smartest, funniest, most inspiring women I’d ever met. But almost every day, I came straight home from class and took a nap. When I was a few years into my professional career, I panicked. I was miserable in my job at a big ad agency in LA and thought I’d made a huge mistake becoming a copywriter. A friend encouraged me to see a career counselor. After a couple personality and interest tests, the counselor told me two things that changed the way I looked at things. One, the agency environment (and my boss, in particular) was likely to be the problem, not the career path. In fact, “writer” came up #1 on the list of ideal careers for my mix of characteristics. Two, I’m an introvert. Of course I am. I always knew that. But somehow the way she talked about it made it sound like a good thing. For years I’d been referred to as shy, aloof, quiet, cold. Now I was being told this very thing that makes people think you’re kinda crazy actually means you’re likely to be creative, insightful, a good problem solver and a leader. It’s been a boatload of few years since then and when the subject comes up, people are surprised to hear me refer to myself as an introvert. They say I must be middle of the road—an ambivert. I’m pretty social. I’m lucky to have a lot of wonderful friends. I write a blog for the world to read (ok, “the world” may be a bit of an overstatement). I smile at strangers and say hello. But there’s no middle of the road. You’re far more likely to get an email from me than a phone call. I can’t count the number of times a day I say, “I’m not sure if what I’m saying is making sense.” or “Sorry if I seem distracted.” or “Let me think about it.” Sitting and eating lunch alone at my desk is my idea of heaven. I’ve already had three mini panic attacks today thinking I might be facing a moment of conflict. And while I love hearing other people’s ideas, there’s no question that I do my best work alone. There’s the fact that I write this blog, knowing full well that people are reading it, but when someone wants to talk about a post I’ve written, I clam up. And my favorite form of socializing? Social media…because I can digest information and think before I respond. The list goes on. And on. I truly enjoy people. And being a part of things—parties, clubs, committees. But there’s no question that when I’m alone, I’m far from lonely. What kind of -vert are you? If you’re not sure, take this quick quiz. You might be surprised. 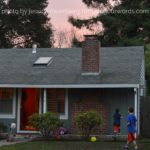 This post was inspired by Quiet: The Power of Introverts, by Susan Cain. 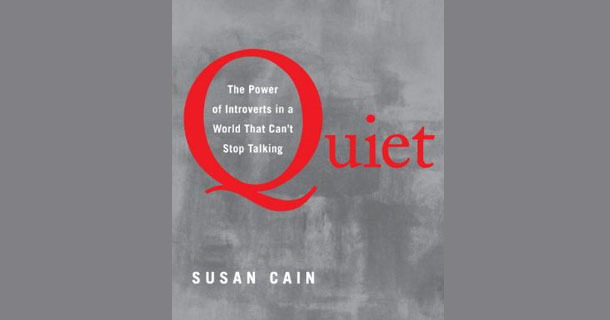 In this book she explores how introverts can be powerful in a world where being an extrovert is highly valued. If you’re interested in hearing more, join From Left to Write on January 19th as we discuss the book. (I’ve seen this article she wrote making the social media rounds—it’s a great overview of her argument.) We’ll also be chatting live with Susan Cain at 9PM Eastern on January 26th. As part of From Left to Write book club, I received a copy, but all opinions are my own. I thought I would be an ambivert, but after reading this book, I can see that I’m an introvert. I think you and I have a lot in common. But, considering your other job, I am a bit surprised! I’m an extrovert and was a swimmer for most of my life, but it drove me crazy because I couldn’t talk. I just realized that when reading this! My husband had a lot of the same reactions growing up as an introvert and has told me about those panic attacks about hyper-social situations many times. He is also a very creative person who is in a very wrong career for an introvert. A career counselor sounds like a really good idea for him, actually. How funny that swimming made you crazy. It was so peaceful to me. I hope your husband finds a good path…a career counselor was wonderful for me in getting me to understand myself and what I’d be good at. I got an “E”… but I think it’s because I really like celebrating birthdays and can’t let phone calls go to voicemail if I can help it. … it’s funny because at a party, for example, I have no problem “organizing” the group, but I’d rather just hang in the corner and chat with my friends vs. mingle and meet new people. I’d be horrible at business school ;)! And I say you’re rocking the E. I think of you as extremely social and always around people. No surprise to me! Then I’m in good company! I’d always thought that I was an introvert that had learned to be extraverted, but it turned out that I’m actually an ambivert. Ambivert was a new term to me. Very cool that you’re good at both! I was an I. No surprise to me. I got a D in 4th grade because I never wanted to present current events to the class. Interested in her book. Thanks for sharing Amy! Classic! I’m guessing as a teacher you’re far more understanding of your students and their strengths. I always knew we were a lot alike! HA–I don’t need to take the quiz because your post could have been written by me (if I was a better writer :)). Must be why I love working with little kids…not so intimidating! Well, my hat goes off to you working with kids too. 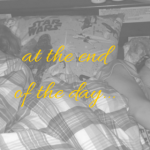 I find even little people exhausting to be around…probably even more so. My hat goes off to you!